Who was Samuel Talor Coleride? 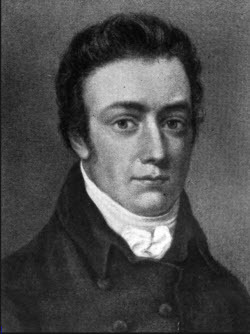 Coleridge, Samuel Taylor: an English poet and critic; born at Ottery St. Mary, in Devonshire, Oct. 21, 1772; son of the vicar of that parish. In 1791 he entered Jesus College, Cambridge, where he attained great proficiency in classical learning. He abruptly quitted Cambridge in 1792, and enlisted in a regiment of dragoons under the assumed name of Silas Tomken Comberbatch. His relatives soon procured his discharge from the army. He visited Bristol m 1794, and became an associate of Robert Southey and other young men who, like himself, had adopted democratic and revolutionary ideas. They formed a project to emigrate to the banks of the Susquehanna and to found a �pantisocracy,� in which they proposed to enjoy a community of goods. As they could not raise money enough for the outfit, they were compelled to abandon the enterprise. His friend and patron, Joseph Cottle, of Bristol, paid him thirty guineas in advance for a volume of poems (published in 1796). In 1795 he married Sarah Fricker, whose sister, Edith, soon after married Southey, and became a resident of Nether Stowey, Somersetshire, where he associated with the poet Wordsworth, and remained nearly three years. During this period he composed the Ancient Mariner and other poems, Coleridge and Wordsworth wrote in ship a collection of Lyrical Rallads. He held Socinian views in this earlv part of his mature life, and began as a preach in the Unitarian churches, but his success as a preacher was hindered by his instability and want of punctuality. In 1798 he visited Germany with Wordsworth and studied at Gottingen. He removed to Keswick, in the country, in 1801, and resided with Southey and Words-worth. The unfriendly critics of the reviews applied these three friends the appellation of �Lake Poets", in reference to their local habitation. In 1808 he lectured on poetry and the fine arts in London, and in 1809 commenced the publication of the Friend, a periodical. His wife and| family remained at Keswick, dependent on Southey, while Coleridge led a wandering life and formed many speculative and literary projects, which he failed to realize. His natural infirmities of character were increased by the use of opium. He passed many of his later years in the house of Mr. Gillman, at Highgate, near London, where he began to reside in 1816.